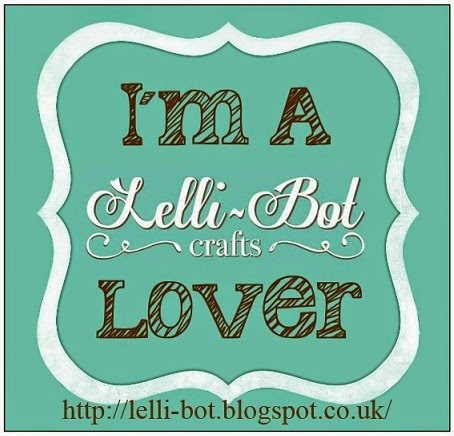 Welcome lovely Lelli-Botters (my name for you all hehe). 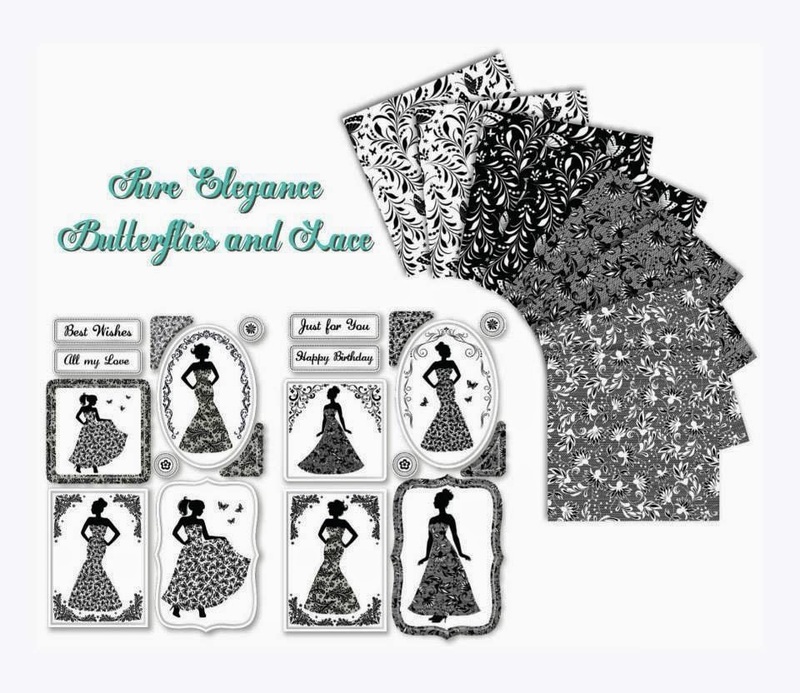 Today sees the last of the first four kits "Pure Elegance" and a very apt name it is too. 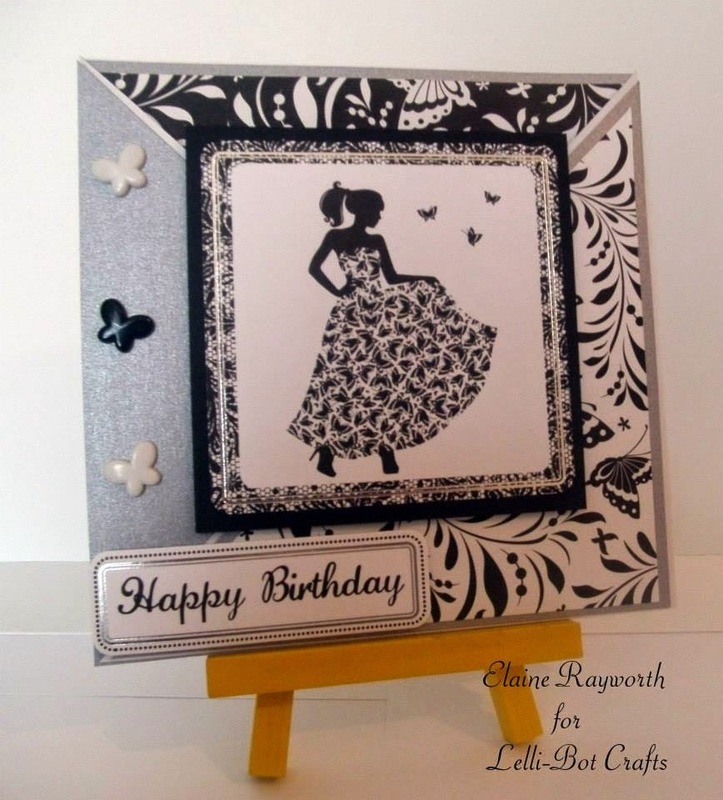 Sam Holliday has been working very hard behind the scenes to produce her own range of crafting goodies. 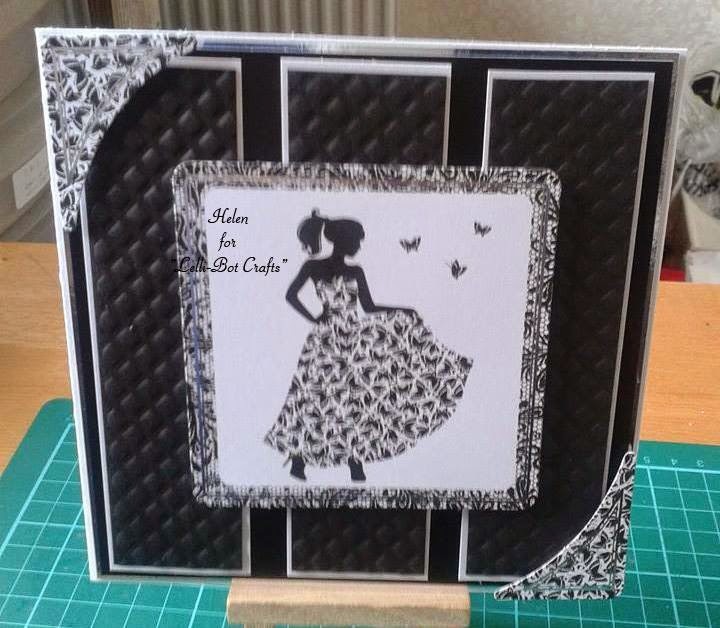 The kits are made with all levels of crafter in mind. The quality of the products is very high and the toppers are left uncoated, so people can distress, colour and ink them if they so wish. 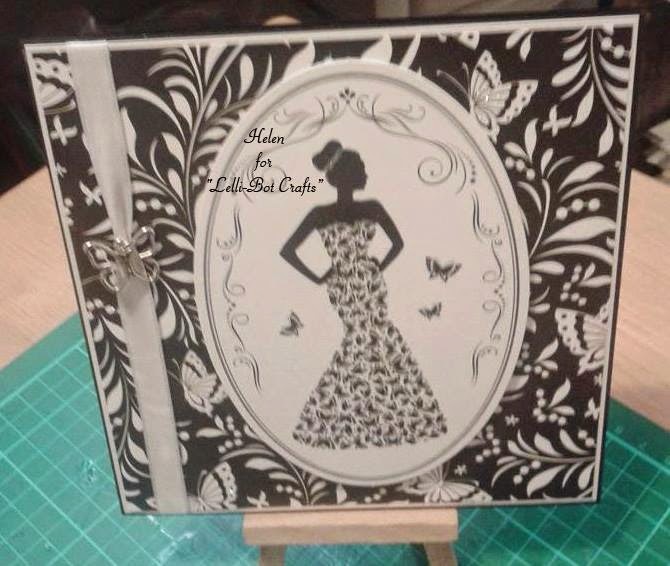 The Embellishment Boxes are a stroke of genius. All you need, all colour coordinated and all in one box. 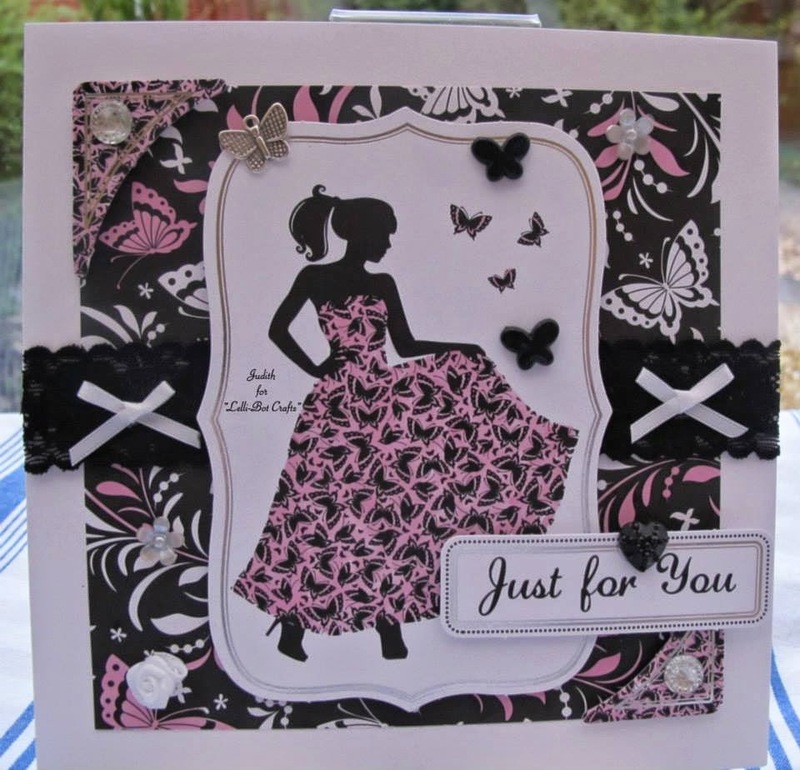 You will get ribbons, sequins, charms, flowers, gems etc. to decorate your Lelli-Bot makes. 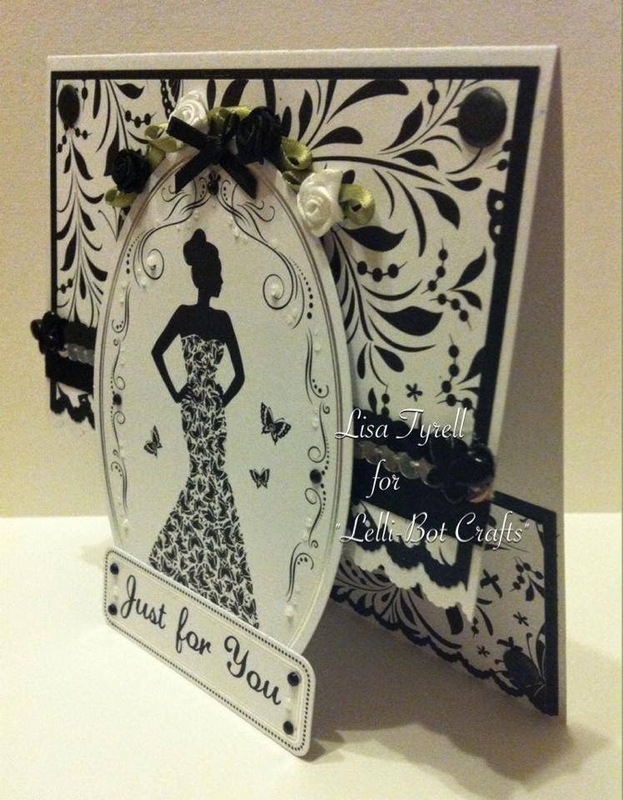 Lelli-Bot Crafts page, and click LIKE. Simple! This kit comes in black and white. 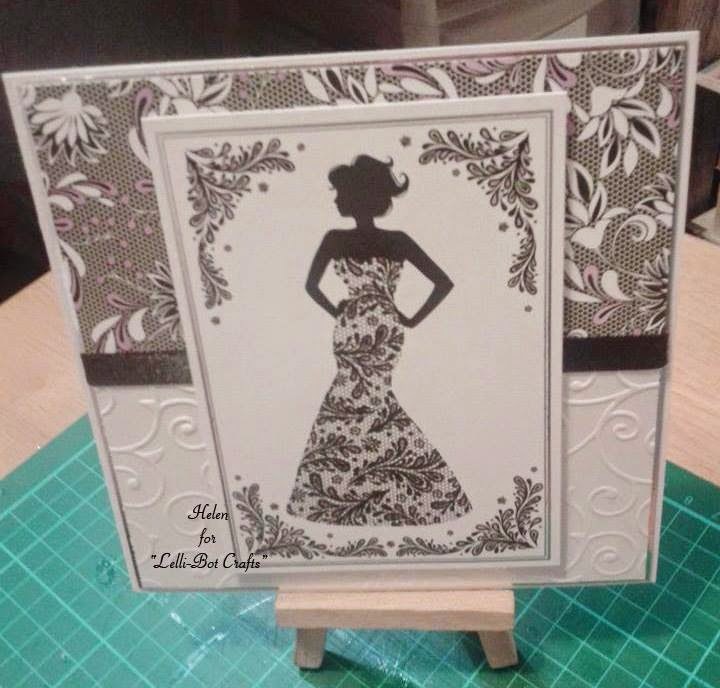 The kit works perfectly if you add one or more colours with it, in the form of backing card and embellishments etc. 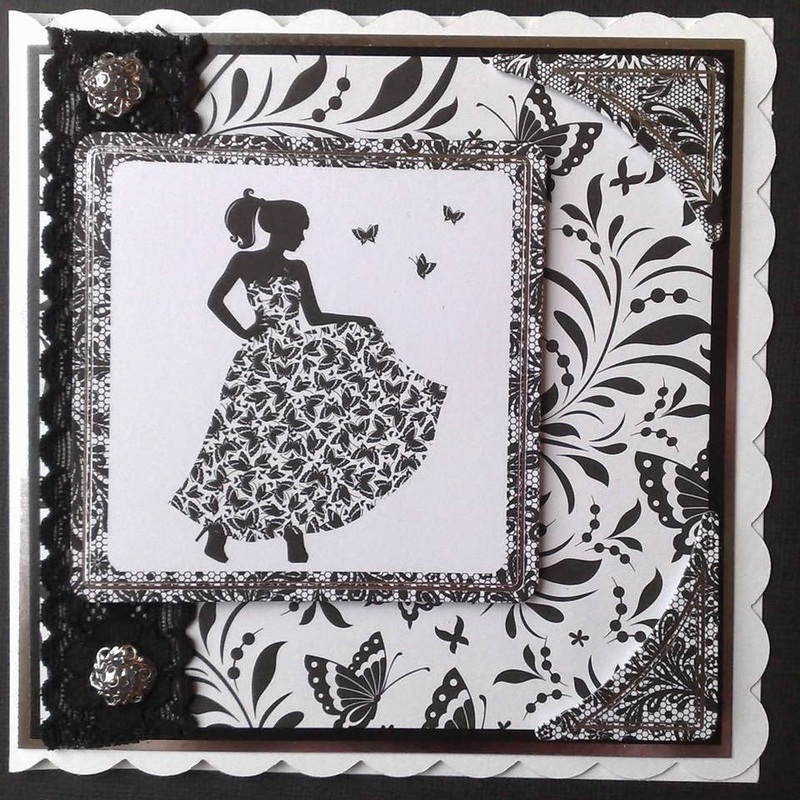 or leave it as black and white for an amazingly elegant look. This kit was so easy to work with. The ideas came so easily as everything I needed was already in front of me. The hard part is deciding on what colour to add or to leave it as it comes. 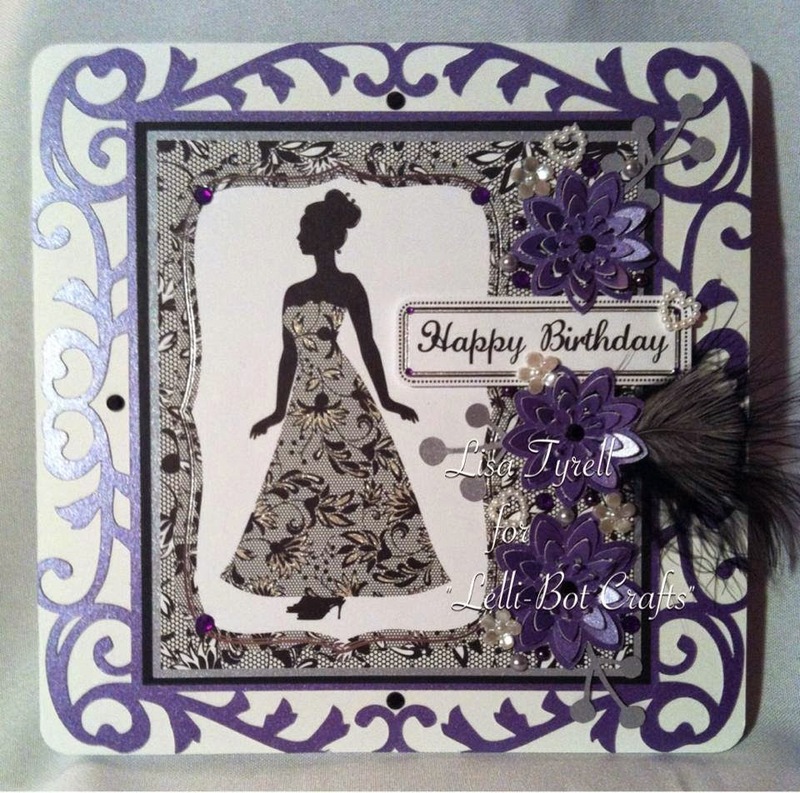 Here is what the Design Team has made with the Pure Elegance Collection. For details of how the Design Team made their projects, please click on the links for their personal blogs. 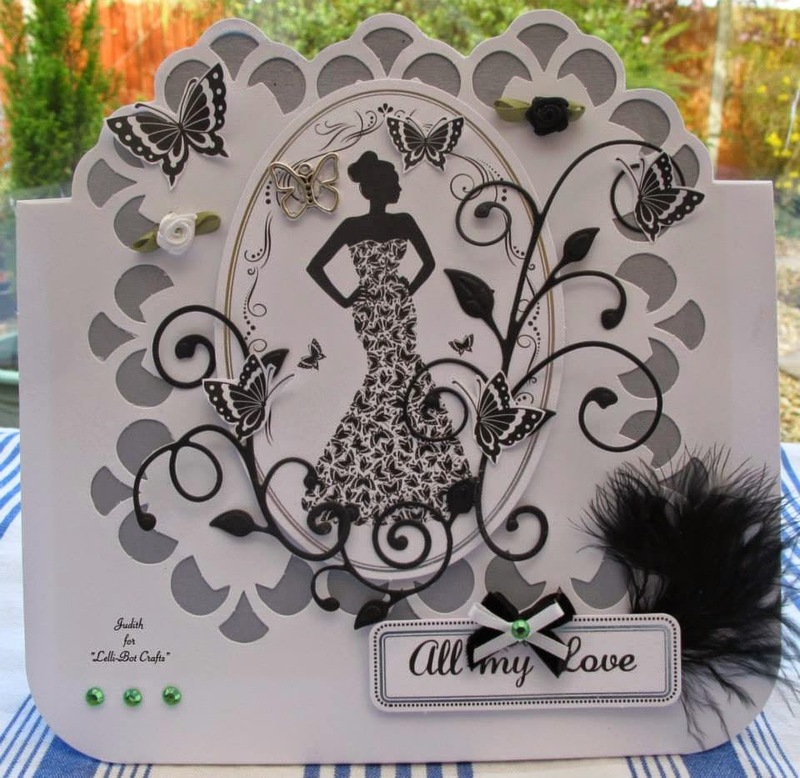 As you can see the Design Team has done an amazing job with this absolutely gorgeous collection. 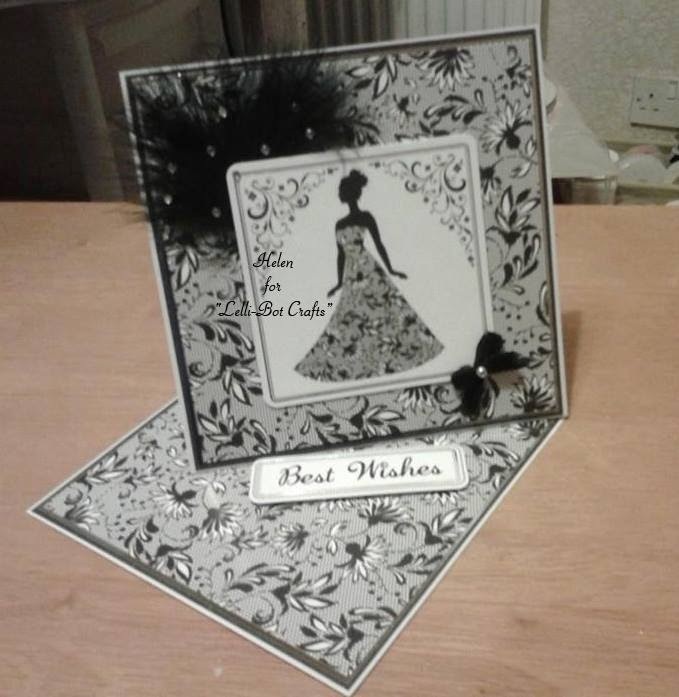 All these card have been made from the same kit, but all look so different. The only thing that will limit you with this collection is your imagination.....That is where we come in, to inspire you and give you ideas. 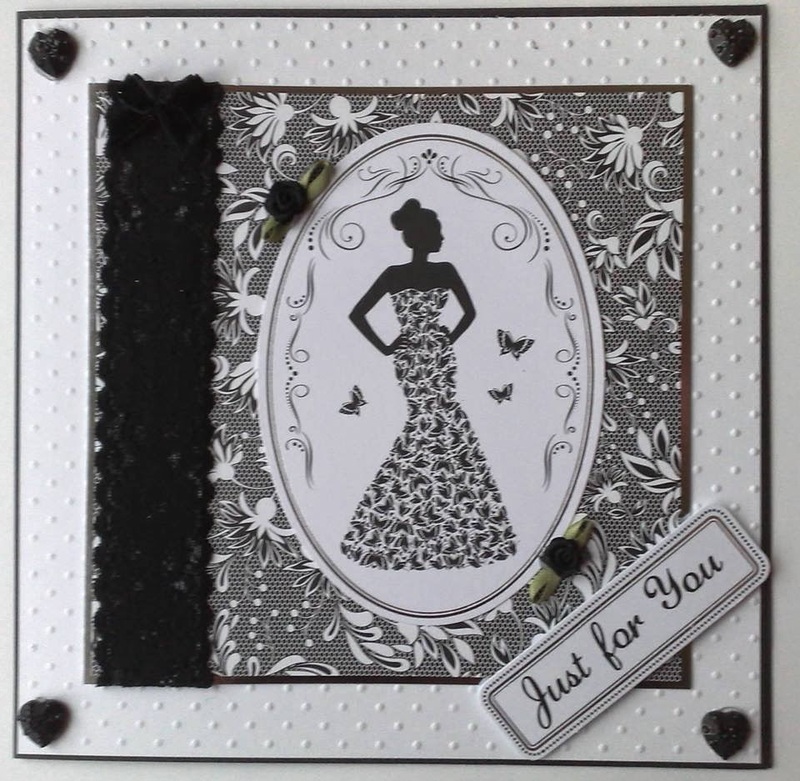 We all hope that you have enjoyed this weeks Blog Posts and the makes have inspired you to purchase these gorgeous kits. 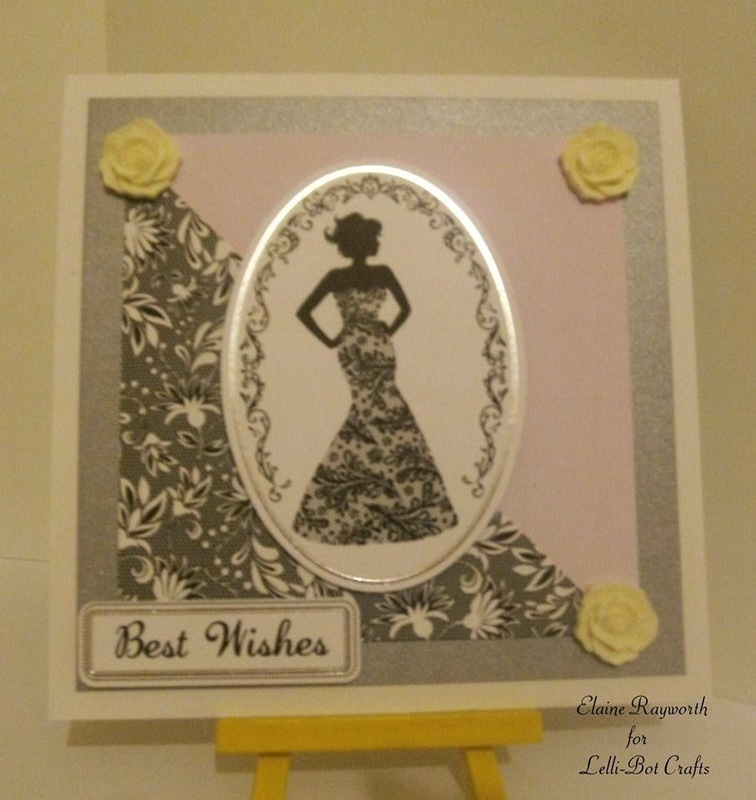 Hi Lisa, what a fab write up and the pictures of all the cards are amazing! Another job well done! This is my favorite out of the collections. I can't wait till mine arrives.